Not sold in Thailand. The KTM Duke 250 and the KTM RC250 are being showcased at the 2015 Thailand Motor Expo. 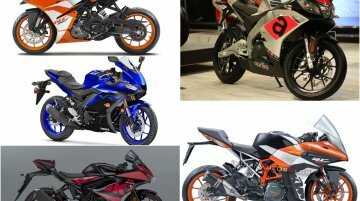 These models are not being sold in Thailand. 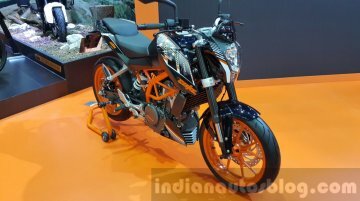 The quarter litre duos were..
Special discounts for bookings at the show Jakarta PT KTM Motor Indonesia (KTM Indonesia) has launched the KTM Duke 250 and the KTM RC 250 at the Indonesia International Motor Show (IIMS 2015). The.. Surprise world premieres. 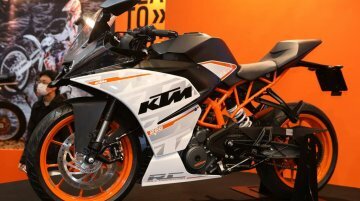 The KTM RC250 and KTM 250 Duke were unveiled today at the Tokyo Motorcycle Show. 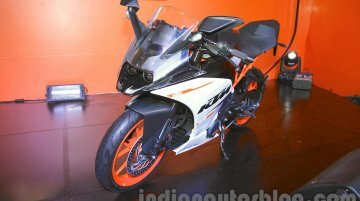 The Bajaj-owned KTM's new motorcycles will launch in Japan in June with the RC250 priced..